On September 26, 2018, a signing ceremony and press conference was held for graduate education partnership agreement between Shinshu University and Nagano Children's Hospital. Nagano Children's Hospital will secure qualified human resources having a spirit of academic inquiry in specialty areas and develop highly specialized medical personnel, by carrying out research activities in Graduate School of Medicine, Science and Technology to be awarded a doctoral degree while engaging in clinical work under the mentorship of experienced clinicians. 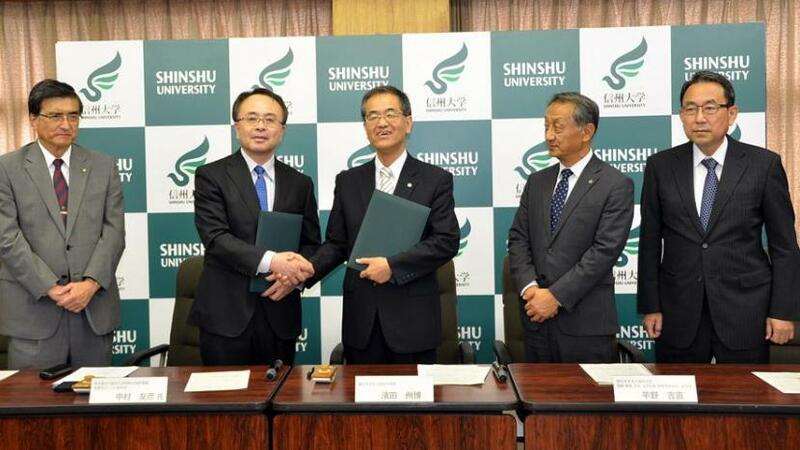 Shinshu University will contribute to higher healthcare standards in Nagano prefecture, such as elucidation of pathologic condition and establishment of treatment, by organizing a system for faculty's educational / research activity and cultivating highly specialized human resources with expertise in pediatric care in Nagano Children's Hospital.